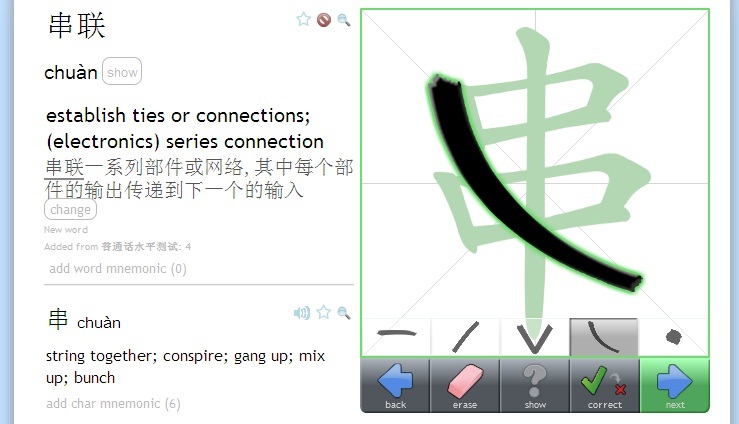 Learning and improving Chinese pronunciation is something that pretty much all learners find challenging. I have been learning Mandarin for over five years now and my pronunciation still isn’t standard enough for me. One big reason for this is that I didn’t spend enough time and energy in the beginning to nail the pronunciation and the tones. So no matter how boring it might be to drill that pinyin, it really is worth it in the long run. I’ve been avoiding improving my pronunciation for far too long, even thinking it isn’t that important as most Chinese people can understand me. But a standard pronunciation is very crucial for a future teacher and in my opinion also an important part in mastering Chinese. Because having a clear goal is very beneficial to our studies, I decided to prepare for a pronunciation exam. My university offers PSC 普通话水平测试 Putonghua level exam twice a year and the next exam date is in October. My goal is to get those 60 points (out of 100) and pass the exam with the lowest possible grade (三级乙等). Even that is going to be very hard to achieve I believe, but it gives me a goal to work for. The PSC is actually meant for the Chinese themselves, especially those who want to be teachers, actors or news reporters on TV. China is full of different dialects which affects their pronunciation in Mandarin, so an official exam is needed to test how standard their putonghua really is. A special point to be made is that Beijing dialect aka beijinghua isn’t standard Mandarin. In my practice book I have a list of 6593 words of frequently used Mandarin words, 4000 of them being the most common. I copy-pasted all of these to my Skritter* and chose to only study the pinyin and the tone of the words. I’m doing the list in alphabetical order for now and at the moment I’m starting to have words starting with D.
There is no pinyin in the exam, so one of the challenges is to memorize the pronunciation for thousands of characters and words. As I have already passed HSK6 last year, I already know quite a few of these words. But of course there are lots and lots of words and pronunciation to memorize before October. The practice book I bought for PSC includes a mp3 and I have already downloaded that to my iPhone. It includes the pinyin, fifth tone word list, erhua word list and audio for all the 60 stories. I will be listening a lot of this audio during the following months as listening is the first step in improving your own pronunciation. You have to know what standard sounds like before you can mimic it yourself. I also need to make a habit of watching the news on TV as the news anchors has the most standard Mandarin you can find. This will probably be a challenge in it self, as it’s a new habit to be learned. Luckily I can watch the news online when ever I want to, before going to bed for example. I’m also going to be meeting with a tutor once or twice per week to go over the texts and have him/her to correct my pronunciation. I will also be recording my self and spotting some of the biggest mistake by listening them. I will probably come up with others ways to improve my pronunciation, including hearing your ideas in the comments, but I try to keep it simple. I have a habit of finding too many books, too many resources and then in the end being confused what to do. This will also be an experiment on how much I can improve my pronunciation in 4+ months and will be sharing the journey with all of you. In order to see my progress I will first share my starting level that you can hear on the mp3 below. This is me reading the first of 60 texts just today morning. All advice and helpful criticism are welcome in the comments! 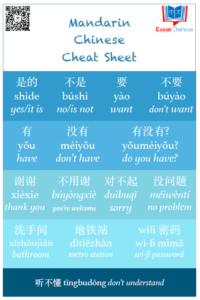 First of all John Pasden has an excellent resource on Chinese pronunciation on his blog Sinoplice, that I recommend for everyone, especially the beginners. Olle from Hacking Chinese also has multiple great posts on learning to speak Chinese that are highly recommended as well. The great Chinese-Forums.com has lots of topics and helpful posts on listening and speaking Chinese. All Chinese learners should register to this community. I’ve been a member since 2004, that’s four years before I started Chinese lessons at the university. The tool I’m using the memorize pinyin is called Skritter* and I have already introduces it in this post. That little star means I’m an affiliate of them and when someone follows my recommendation and buys the subscription from that link, I will get a small share. Thank you for supporting my site if you do that! Now it’s time to hear you out! What are you doing to learn and improve your Chinese pronunciation? Or if you are a native speaker or a teacher, what advice do you have for us foreigners? On a side note, what exactly is standard Mandarin? Or should I say, is there a place it is actually spoken? Where I live (in Hebei), locals pride themselves on having very standard pronunciation–more pure than most places and supposedly a lot of news anchors come from the region. Not sure how true that is though. . . . I did a bit of research into this. I had hear that standard Mandarin is based on the Beijing dialect, but then I read exam supervisors pointing it out to Beijingers that putonghua isn’t Beijing dialect and they should prepare for the exam as well. Standard Mandarin, putonghua, is based pronunciation vise on the Beijing dialect that was spoken in the courts back in Qing dynasty when it was called guanhua 官话. Then it was named guoyu 国语 during the Republic of China and that term is still used in Taiwan. The term putonghua 普通话 officially came to use in 1955. I also read online that the Beijing dialect has also changed a lot since the Qing dynasty and even if you could say putonghua was (almost like) Beijing dialect, that wouldn’t be true anymore as the dialect have changed. So is there a place where standard mandarin is actually spoken like people out of the news? I would like to hear an answer to that as well. Or does everyone still carry their local flavors no matter how close their pronunciation is to the standard? Harbin is known as the place where Standard Mandarin is spoken in its purest form. Yes, I’ve heard that before, and it’s just not true. The dialects of Northeast China are very close to standard thanks to the very late Han settlement of the area – Han were not allowed to live in Beijing’s Inner City or the Northeast until the very end of the Qing Dynasty, and when the Northeast was opened to Han settlers, those who moved there generally came from the Shandong and Hebei areas. But you don’t have to listen terribly closely to hear clear differences in vocabulary and pronunciation between the Northeastern dialects (including Harbin) and Standard Mandarin. But yes, generally the dialects of most of Hebei, Beijing, Tianjin and the Northeast are very close to Standard Putonghua. Thank you for the clarifying info Chris! I remember having hard time understanding people in Xi’an, but then again my Chinese wasn’t that good at the time. How different is 西安话 compared to Mandarin? I’m just messing around, man. Don’t take me seriously. Enn~ Usually I either just talk with a native speaker (although recently I am speaking English too much) or record audios online and post them on lang-8 for corrections or suggestions. But recently, due to other things, I haven’t done either in a while so I need to practice more haha. Keep going!!! Recording your self is great! And even better when you get native speakers opinions on them as well. That’s what I’m doing too, practicing at home, recording and then reading out loud to my teacher. 加油! That is a worth post! I never realised that there is test which is a level higher than HSK 6. 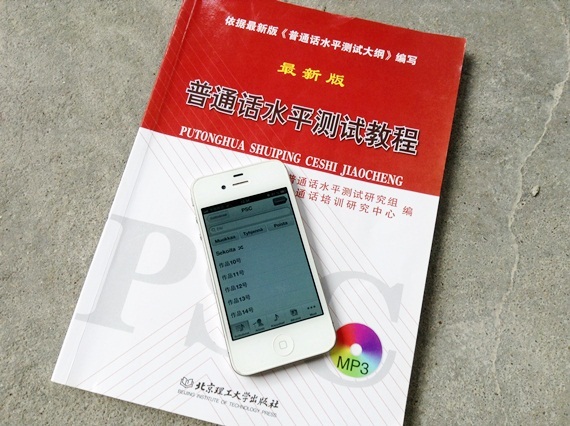 PSC is solely designed for Chinese nationals to test the “standardness” of their Mandarin. They want only the most standard speakers to be teachers and news anchors, as their voice will be heard and imitated by many. I think this is actually important, as there are many Chinese that don’t speak good Mandarin and are hard to understand. And even though Mandarin is officially the native language of all Chinese, it isn’t necessarily their first language. For example my husband’s first language is Cantonese, but officially his native language is Mandarin. HSK was probably made easier to make us foreigners feel good about our Chinese level ;) I don’t think there is such a need with the PSC. how did it end up, your little experiment. did you pass the test after those 4 months? What were the results? Have you got some feedback for us learners on whether its worth the trouble?